Spielberg buried the lead. To borrow a journalism idiom, the director led the story with a bunch of context and setup scenes and really didn’t get the movie going until a good thirty minutes in. While movies aren’t the same medium as hard news and shouldn’t follow the inverted pyramid when presenting information, they also shouldn’t start slow with secondary or irrelevant information first, which is what Spielberg did. Boring cinematography. This may be unfair, but I found the shots lacking. Serviceable but unexciting. While nothing can take away from Spielberg’s previous body of work as an all-time master of beautifully creative shots (E.T., Raiders, Jaws, and a dozen more), The Post doesn’t look as important as its subject matter. Heavy-handed feminism. I say this as an avowed feminist: The heroine of the movie didn’t need any more validation or solidarity to celebrate her bravery or victory. At one point near the end of the movie, Streep’s character walks past row after row of approving, onlooking women. Not necessary. Neither was what I can only imagine was a fabricated scene with an opposing female prosecutor cheering her on. Disappointed to see the movie-makers jump on the “me too” bandwagon. Me too isn’t bravery. It’s important solidarity, yes. But this movie was about a brave heroine who didn’t need the heavy handed affirmation that the movie gave her. Her efforts more than stand on their own. Limp ending. Much like the context-heavy opening, Spielberg ends his movie with additionally unnecessary context at the end (i.e. the detached Watergate scene). 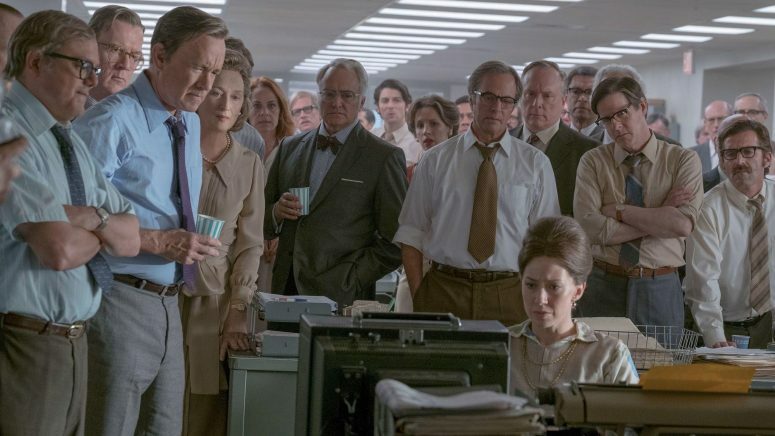 Rather than end on the high note of getting the important papers published, it jumped the shark to a clunky depiction of the Watergate scandal. Like the forced feminism, the Pentagon Papers are more than enough to stand on their own. They don’t need the validation of the latter Watergate scandal to be important. Four stars out of five. In terms of great journalism movies, I still prefer All The Presidents Men, Ace in The Whole, Spotlight, and maybe even State of Play. Fun fact: After watching The Post, my wife turned to me and said, “If American checks and balances can survive a Nixon presidency, it’ll be fine under Trump.” I couldn’t agree more—political hysteria is even worse than politics.